Abbas wrote in the New York Times the UN must declare it a state based on its demands, with no negotiations except for the issue of foreign Arabs. Palestinian Authority Chairman Mahmoud Abbas wrote in The New York Times Monday that the United Nations must declare it a state based on its territorial demands, with no negotiations except for the issue of the status of several million foreign Arabs. Since Abbas took over the helm of the PA after the death of Yasser Arafat in 2004, he has simultaneously gone through the motions of talks with Israel while launching a globe-trotting campaign to curry diplomatic support. He has laid his cards on the table in recent months, rejecting talks with Israel unless they are based on acceptance of the PA's demands, without compromise, for a PA state to be based on the temporary 1949 Armistice Lines that were in effect until the Six-Day War in 1967. During the conflict with surrounding Arab countries, all of Jerusalem, Judea and Samaria were restored to Israel. Abbas omitted the rejection of the partition plan by the Arab world and the fact that most Arabs living in Israel left because they were told to do so by their leaders, who promised them that they would return after Israel was quickly annihilated. 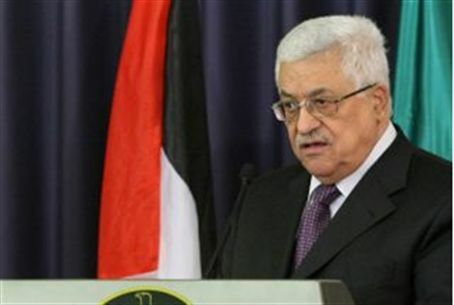 Abbas’ op-ed was published only hours before Prime Minister Binyamin Netanyahu told the Knesset that negotiations with the Palestinian Authority would be conditioned on retention of areas in Judea and Samaria with large Jewish population centers, meaning Maaleh Adumin, Gush Etzion and Ariel; recognition of Israel by the PA as a Jewish state, a declared end to the conflict; a demilitarized PA state; and the immigration of foreign Arabs into the Palestinian Authority and not Israel.